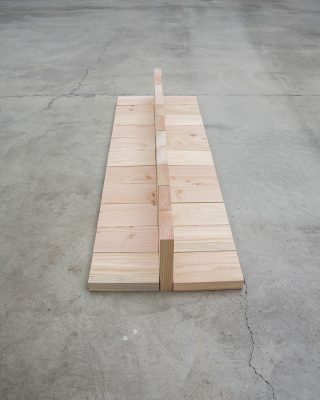 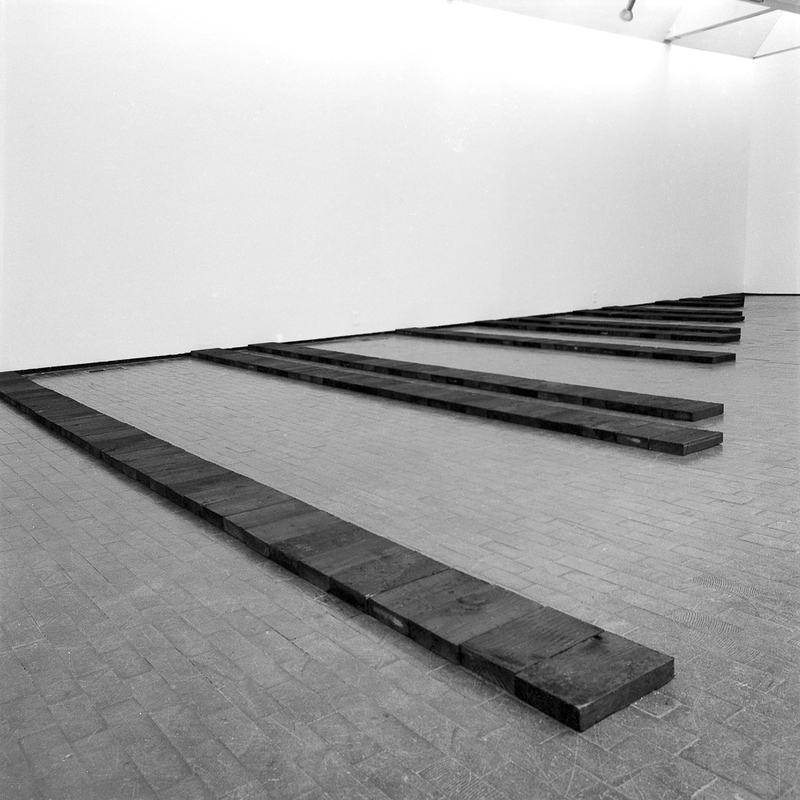 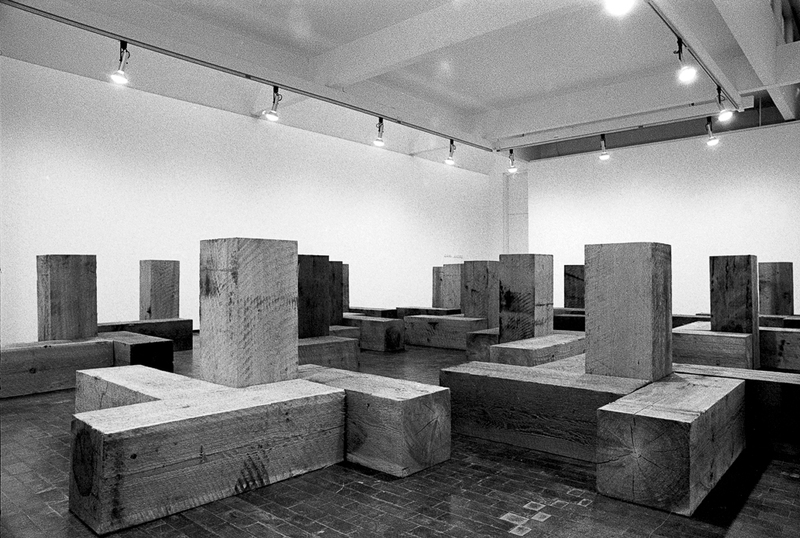 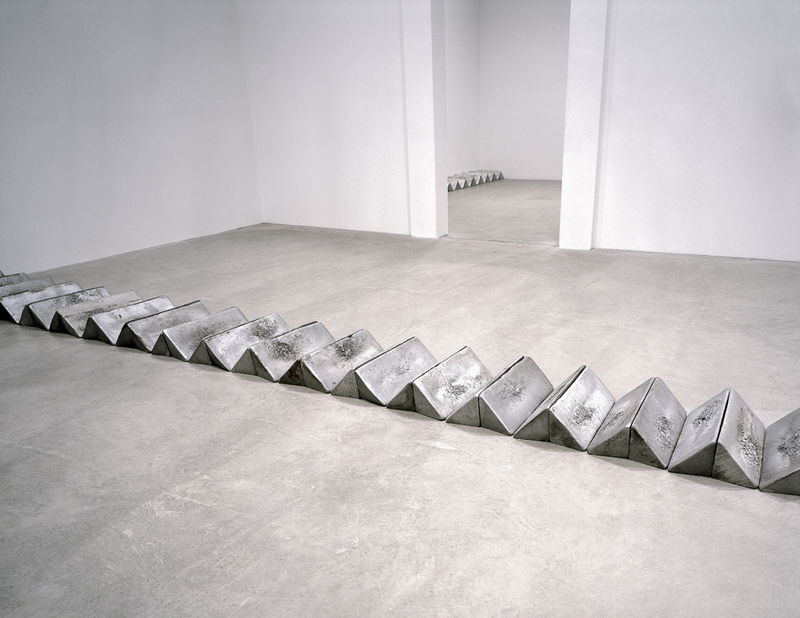 Carl Andre’s reductive sculptural works feature grid-based configurations of select materials. 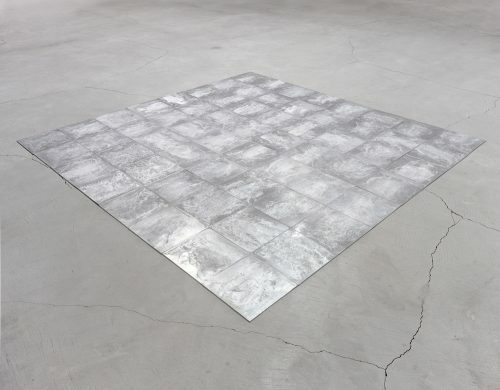 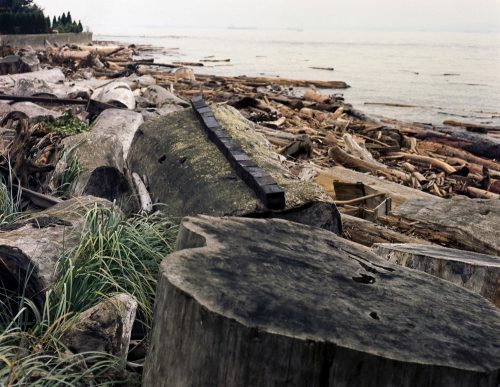 Through his elemental structures, Andre isolates and elevates to invoke the inherent properties of the matter itself. 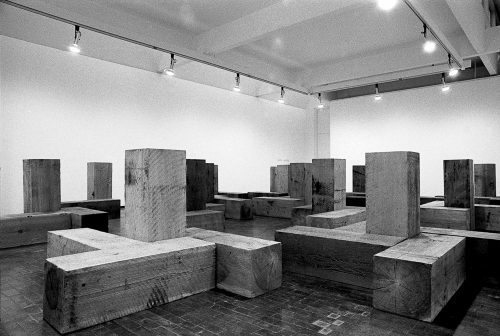 A canonical figure of New York Minimalism, Carl Andre’s oeuvre has been presented in numerous exhibitions including: Documenta 4, 6, and 7, the Venice Bienial in 1978; and museum retrospectives at the Guggenheim Museum, New York, 1970; the Laguna Gloria Art Museum, Austin, Texas, 1978; the Stedelijk Van Abbemuseum, Eindhoven, 1987; the Museum of Modern Art, Oxford, England, 1996; the Musée Cantini, Marseilles, 1997; the Open Air Museum Middelheim in Antwerp, 2001; and Kunsthalle Basel, 2005.